As Riverside Lifestyle Estates gets closer to taking off with construction, we continue to take reservations of units through our creative Letter Of Intent program. 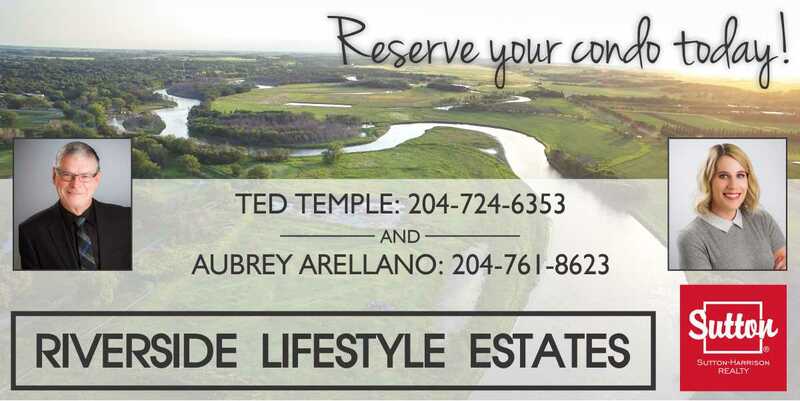 Be sure to contact Ted Temple (204-724-6353) or Aubrey Arellano (204-761-8623) for more information on this process! Don't miss out on the unit you want - reserve your new condo today! RIVERSIDE LIFESTYLE ESTATES - A living experience that only a select few will have the pleasure to call their own. Developer reserves the rights to make modifications to building designs, specifications, features and floorplans without notification. All renderings, maps, and illustrations reflect the artist interpretation of the project only and may differ from the final product.